The Global Business Roundtable (GBR) was established in 2009 and has members in 71 Countries around the world, including 38 in the African continent. GBR focuses on the holistic development of a person including, intellectual development, spiritual, financial, business, leadership, mentorship and coaching and facilitates trade and investment opportunities for members across different nations. Our key target groups are business people and professionals, academics and spiritual leaders from all denominations and different sectors of society. GBR is multinational, multicultural and multilingual organisation which aims to have its presence in 200 countries by the year 2020. In line with its colossal mandate, GBR hosts a series of targeted events for the various target groups. These events are aimed at knowledge and information sharing, mentorship opportunities, cross pollination across the different countries where GBR is present and expansion of networks. Trinity Broadcasting Network (TBN) is an international leader in faith and family television. With over 30 networks available on 88 satellites, TBN and its family of networks are available in every nation across the world. TBN in Africa is a premier quality Christian channel broadcasting in 52 nations in the African Continent. 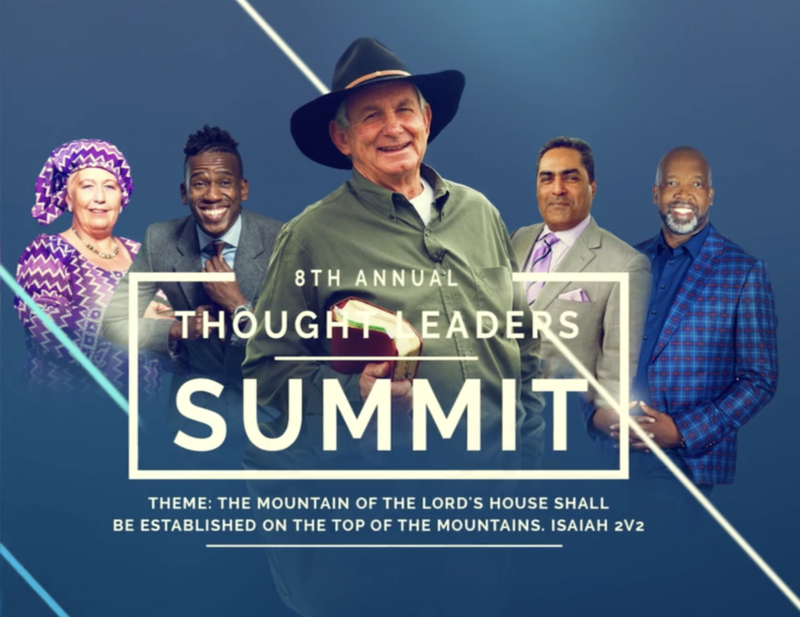 For the first time since the inception of the Thought Leaders’ Summit, GBR is partnering with TBN in Africa for this dynamic initiative. This presents a wonderful opportunity for both organisations to take part in the mission to build the 5-Fold Ministers and Intercession, and develop a Think Tank of Kingdom experts to contribute towards resolving the current day challenges the world faces.